As part Nine Volt Audio’s BPM Flex Series™, any of the REX2 based loops (supported by most major sequences and used by Stylus RMX and Reason) will retain their sound and groove at virtually any tempo (even as slow as 60-70BPM) without artificial stretching or audio artifacts! All loops are in 44.1kHz/24bit resolution. 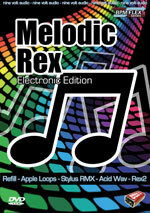 Melodic REX: Electronic Edition brings melody lines, textural leads and groove-based tonal loops to the REX2 format. 503 REX2 files organized into 50 suites covering a tempo range of 80-139 BPM. 29 combo suites that present an “A” and “B” loop group. Loops in combo suites play with and counter to one another creating multi-part musical passages and the ability to create fuller sounding mixes. All loop file names identify the musical key and/or chord progression. There is a small and over used group of sounds you rely on every time you need a shaker. You go to the same selection of samples and loops because all your other shaker sounds are inconsistently edited, ill-timed, have little-to-no tempo flexibility, are missing articulations, don’t come close to sounding real when programmed, or some combination of these. 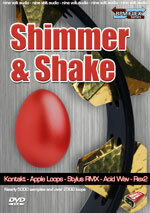 That is why we created Shimmer & Shake: a collection of 2350 loops in the REX and Stylus RMX formats. Instruments include the cabasa, vintage tambourine, modern tambourine, brass tambourine, sistrum, maracas hi, maracas low, caxixi, shekere, egg shaker, beer can shaker, “Bali-Pong” shaker, rain stick (played as a shaker), finger drum shaker, goat toes, sand shaker, rock shaker, pill bottle shaker, Shakerine front, Shakerine side, sleigh bells, shell shaker, Spin Spark hi, Spin Spark low and Vari-Tone. All loop folders and patch names further identify the sound characteristic to help find the right sound quickly (“natural”, “plastic”, “jingle”, “metal”, “sand”, etc.). 25 instruments with 89 different rhythms (2225 loops in REX and Stylus RMX formats) covering 4/4, 3/4, 7/8 and 5/4 time signatures. Individual hits and rolls for each are offered for endings and breaks. Highly organized and rhythmically consistent from suite to suite making it extremely easy to audition different sounds while keeping the same rhythm. Ease-of-use, consistency, organization and professional grade sounds, rhythms and programming make Shimmer & Shake a resource that you will use time-and-time again. Featuring the sounds of the Hammond B-3, Organ Explosion presents 20 tightly organized song suites covering funk, blues, jazz, rock and more. With rhythmic bursts, bubbling riffs and fat back grooves, the 700+ loop collection is a go-to source for raw, infectious and emotive playing. 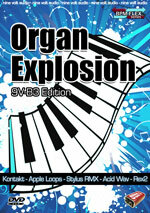 The Organ Explosion library takes a new an inventive approach by placing left and right hand performances into separate loops. While the left hand lays down solid basslines and the right pumps rhythm and melodies, composers have the freedom to combine loops for complete performances and the flexibility to separate them, opening up additional creative and compositional options. Sounding spontaneous, simple and sophisticated, Organ Explosion goes from Saturday night’s jam to Sunday morning’s gospel sermon with style, syncopation and soul. The collection is organized into 20 song suites. Each suite has clearly labeled song parts (i.e. riffs, progressions, transitions, grooves, etc. ), clearly labeled key/chord progressions in the file name and an “L” or “R” to indicate the hand that is playing the loop. From a producer’s perspective, it often takes more than a single guitar track to build a great song. That’s why every song part in Pop Rock Guitars is comprised of multiple complimentary melodies and rhythms designed to lock together. Call-and-response phrases, chiming arpeggios backed by double-tracked power chords, and interweaving riffs all work together to create rhythmic and harmonic depth. With in-the-pocket playing, tight organization and consistent tones amongst parts, Pop Rock Guitars offers a smooth experience from inspiration to final mix. 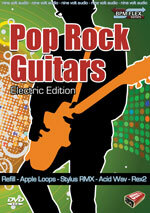 Pop Rock Guitars is organized into 16 song suites. Each suite has clearly labeled song parts (into, verse, chorus, bridge, etc…) with sustained chords for endings and breaks. All parts are also labeled by tone (clean, overdrive, distortion). Pop Rock Guitars has an “A” (Stratocaster), “B” (Les Paul) and “C” (Les Paul Special) guitar part for every song section, all performing distinct parts. Pop Rock Guitars presents a large selection of “Toolbox” parts comprised of chromatic straight-ahead strummed 8th note power chord loops, chromatic major and minor sustained chords, and a range of slides. All toolbox loops are presented in the three tones that are used throughout the library. These are designed to supplement any suite or stand on their own as the backbone to any track. Pop Rock Guitars includes Stylus RMX multi patches that allow the user to automatically load the A, B and C parts of any suite. Textured Guitars uses an array of effects and signal processing combinations such as cascading delays, pulsing filters and rhythmic gates and combines them with vintage and modern amp sounds and a variety of electric guitars and playing styles. The result is a collection of loops that evolve, percolate and shift across the audio landscape. Versatile, useful and musical, Textured Guitars sweeps from deep and wide to up-front and focused and offers a broad selection of six-string moods. 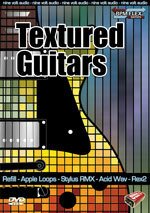 Textured Guitars contains 514 loops organized into 43 suites covering a tempo range of 74-135 BPM. Most of Textured Guitars is organized into “mini-song” suites with file names that identify musical key and/or chord progression and contain sustained chords for endings and breaks. Nearly 600 loops organized into 60 “Beat Suites”. Each Beat Suite contains a full-mix beat, a full-mix beat without the kick, a full-mix beat without the snare, percussion/hi-hat mix and a loop for each individual instrument from the full-mix. Individual folders containing solo loops of kicks, kick 4xs, snares, hi-hats, percussion, hi-hat/percussion mixes and tonal fx have also been created for quick and unique beat creation from the ground up. 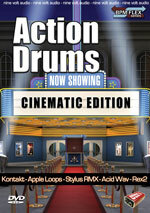 Action Drums: Cinematic Edition is a dynamic collection of performances designed to fill the percussive needs of motion picture, television, video game and production music. Recorded in a concert hall, Action Drums: Cinematic Edition mixes close and distant microphone positions of soloists and ensembles to create natural recordings that range from subtle and understated, to ethnic and exotic, to high-powered and relentless. A wide range of instruments were used including concert toms, concert bass drums, shime-daikos, surdos, djembes, batas, talking drum, udu, tabla, congas, small percussion and more. Versatile, expressive and inspiring, Action Drums: Cinematic Edition is a worthy resource for any composer writing for visual media. 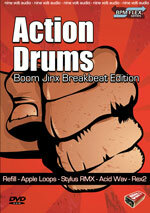 Action Drums: Cinematic Edition is organized into 12 “Beat Themes”. Each Beat Theme contains between six and 26 full mix loops (152 total), as well as the individual parts used to make the full mixes (698 loops). This allows the user to easily edit and mix-and-match parts to create custom passages. Action Drums: Cinematic Edition contains Beat Themes in time signatures 4/4, 3/4 and 6/8 and covers a tempo range of 90-170 BPM. Action Drums: Cinematic Edition includes 304 Stylus RMX multi presets that allow the user to pull up full mixes of individual loop parts for quick and easy customization of the mix. Presets are presented in both single and multi-channel versions. 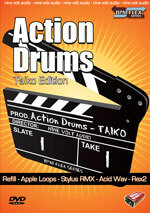 Action Drums: Taiko Edition brings the power, thunder and excitement of Japanese taiko drums to the REX and Stylus RMX formats. Recorded in a concert hall with microphones from stage to balcony, Action Drums: Taiko Edition captures the energy resonating from every strike, boom and cinematic blow. With suite names like Alley Sprinter, War Elephants and Lost Temple, Action Drums matches big sounds with grand imagery. Whether setting the mood for an epic clash, scoring an adrenalin-charged chase scene or creating a conqueror’s anthem, Action Drums: Taiko Edition provides the sonic impact necessary for a wide range of compositional needs. 680+ loops organized into 15 “Beat Themes”. Each Beat Theme contains between four and eight full mix loops (89 total), as well as the individual parts used to make the full mixes (590+ loops). This allows the user to easily edit and mix their own unique taiko passages. Action Drums: Taiko Edition contains Beat Themes in a wide range of time signatures, including: 3/4, 4/4, 5/4 and 6/8. Over 140 single and ensemble hits are included for endings and breaks. Action Drums: Taiko Edition includes 89 Stylus RMX multi presets that allow the user to pull up full mixes of individual loop parts for quick and easy customization of the mix. The presets utilize Stylus RMX’s “Chaos” feature to bring subtle variation to loop interplay. Presets are presented in both single and multi-channel versions. 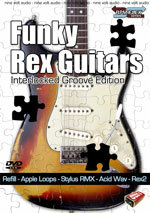 So whether you need a groove for inspiration, a lick to light up the dance floor or a riff to breathe life into any retro or modern track, Funky Rex Guitars: Interlocked Groove Edition brings what you need. 400 loops organized into 43 mini-song suites. Interlocking groove suites present an “A” and “B” loop group for easy identification of which loops are designed to play simultaneously. Designed to bridge the gap between the compositional flexibility of a sampled instrument and the inspiration found when using loops, Metal Guitar takes a brute force approach by offering 293 unique patterns recorded at 15 chromatic intervals for a total of 4395 loops. This approach brings performance variation, compositional immediacy and added realism since the need to rely on pitch-shifting is virtually non-existent. With all parts double-tracked, guitars tuned to low C and MIDI bassline files for every pattern, Metal Guitar is a one-stop-shop for heavy rhythms and blazing riffs. Also included is Metal Guitars Clean & Direct – a clean, uneffected, uncompressed, direct-to-the-board version of our metal Guitars. Embracing the huge range of guitar tone options has never been easier. 4395 loops and 203 one shots covering muted strums, slides, pick slides, harmonics, string rakes and chromatic articulations including: sustained notes, sustained power chords, palm muted notes and palm muted power chords. Total uncompressed file size is over 7 GB. 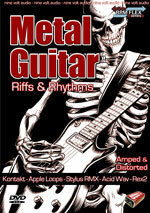 Metal Guitar is available in an Amped & Distorted Edition or a Clean & Direct Edition (to be used with amp simulators). MIDI files for each pattern (293) are included to allow duplication of every part with electric bass, synth or any other instrument. Rhythms feature groups of loops at 15 chromatic intervals beginning at the “dropped-C” position. These passages use only the notes found within their loop interval (example: a loop labeled “D” will only contain D notes and power chords). LoRiff groups feature loops at 15 chromatic intervals also beginning at the “dropped-C” position. These loops use a range of notes and power chords within their interval resulting in passages that are both rhythmic and melodic. HiRiff groups feature loops at 15 chromatic intervals beginning at “C”, two octaves above the “dropped-C” position. These loops mostly feature single note picked lines resulting in passages that are both rhythmic and melodic. In order for a song to evolve, contract and expand, each of the 44 suites present a core beat, all parts of the core beat broken into stem and solo mixes, a minimum of six fills and a minimum of six “alternate mix” beats that range from complimentary to textural to glitch laden to attention grabbing ear candy. The “everything in one place” concept continues through out the library with individual folders containing solo loops of kicks, snares, hi-hats, “top mixes” and more for quick and unique beat creation from the ground up. 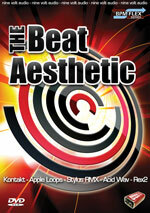 Combining solid rhythms with interesting sounds, tempo flexibility with tight organization, and originality with ease-of-use, The Beat Aesthetic will raise your expectations of what a beat library should be. 1300+ loops in the Stylus RMX & REX formats. Each Beat Suite contains a full-mix beat(s), a full-mix beat without the kick, a full-mix beat without the snare, a kick & snare mix, top mix, and a loop for each individual instrument from the full-mix. A minimum of six 1-2 measure fills and a minimum of six alternate/sound-designed loops are also included. 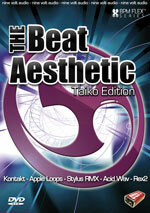 The Beat Aesthetic contains a universal selection of acoustic and electronic cymbal crashes and rises to supplement the beat suites. The library features a bonus selection of 96 4x Kick loops created from the kick sounds used in the 44 Beat Suites. The Beat Aesthetic: Taiko Edition transforms the thunder of traditional Japanese drums into a giant fist of fat grooves. Through the use of over 30 different instruments, ranging from the low frequency impacts of the 500 pound odaiko to the tight and high snare-like sound of the shime daikos, the collection’s twenty suites of beats, fills, builds and hits remain sonically diverse and engaging. Stylus RMX users will enjoy a layout that enables easy improvisation of entire percussion tracks. And as part of the BPM Flex Series™, grooves can be used at extremely wide ranges of tempo while retaining a natural sound. Additionally, Stylus RMX users will experience a new and never before seen feature: multi-track loops and MIDI files triggered from a single channel! Check out the video demo to see them in action. With loops that float between tribal, cinematic, rock and world beat feels, this volume of The Beat Aesthetic continues the legacy of mixing imaginative playing with top-notch sounds, tempo flexibility with tight organization, and originality with ease-of-use. The library covers a tempo range of 75-159 BPM. But as part of the BPM Flex Series™, all formats (except standard .wav) can be used at a wide range of tempos while remaining intact and on time. Each format in this collection contains 20 “Full Mix” suites and 20 matching “Part” suites. This allows users the flexibility to work on a single track with full mixes, or to drop sounds in and out by using different combinations of “Part” loops. The full mix loops have been created by combining the parts together in a multi-track fashion. 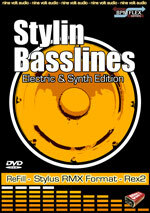 Stylus RMX Specific Info: The Beat Aesthetic Taiko features exclusive multi-track loop and MIDI files which allow four loops to be played and edited from a single RMX channel. No matter if you use Stylus RMX, Reason or any other REX2 player, Textural REX will be one of the most musical, fun-to-use and flexible loop collections in your arsenal. 500 files organized into 82 suites in the Stylus RMX and REX formats. 19 combo suites that present an “A” and “B” loop group. Loops in combo suites play with and counter to one another creating multi-part musical passages and the ability to create fuller sounding mixes. 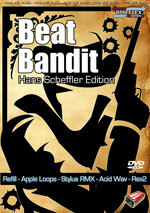 Now, Hans brings his skills to the Nine Volt Audio release Beat Bandit: a modular REX-based loop library of electronic drums and rhythms. Amp sounds were dialed in and recorded by producer, mixer and engineer Michael Wagener, known for his work with many top hard rock and heavy metal bands like Motley Crue, Ozzy Osbourne and Metallica. So whether you need the rumble of a drop-tuned riff, the punch of a power chord chorus or some high gain growl to add edge to a track, Big Bad Guitars is ready for the gig. Also Available: Big Bad Guitars Direct – a clean, uneffected, uncompressed, direct-to-the-board version of our Pop Rock Guitar loop collection. With the wide range of amp sim plug-ins, embracing the huge range of guitar tone options has never been easier. Specifications are similar to the below – except everything is clean! Big Bad Guitars presents 925 files for each format: REX2, Stylus RMX formats. Big Bad Guitars is organized into “mini-song” suites. Each suite contains clearly labeled song parts, riffs, string “scrapes” and sustained chords for endings and breaks. The collection features 130+ “remix” style guitar loops that feature filtered, “stuttered” and effected sounds designed to take each suite to the next level. Any of the REX-based loops (used in Stylus RMX and Reason) can be used at tempos as slow as 70 BPM. Big Bad Guitars presents a “Toolbox” section of straight-ahead 8th and 16th note palm-muted power chord loops, designed to supplement any suite or stand on their own as the backbone to any track. Big Bad Bass Guitar is a collection of rough and tumble low-end riffs, lines and progressions designed to be the backbone of any modern or hardrock song. Big Bad Bass Guitar supplies companion lines for every suite in Nine Volt Audio’s Big Bad Guitars and Big Bad Guitars Direct and goes beyond with parts for 14 other tracks. Heavy hooks with tunings as low as Drop-C, parts played with a pick and fingerstyle, and a huge selection of “toolbox” bass patterns, muted strums and slides are all designed to get tracks from here-to-there with realism and ease. All parts were recorded on a Fender Precision Bass using an amp tone that was chosen to work right out-of-the-box, while still allowing for tonal customization. And forget the constraints of tempo: as part of the BPM Flex Series™, Big Bad Bass Guitar allows every REX-based loop to be used at virtually any tempo with no artificial stretching or audio artifacts. This allows for seamless mixing-and-matching of parts across the entire collection. So if you already own Big Bad Guitars, need some low-end inspiration or simply have a track that needs an injection of deep attitude, Big Bad Bass Guitar is ready to set the foundation. 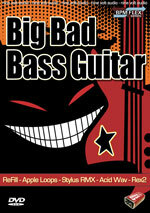 Big Bad Bass Guitar present 598 files for each format: REX2 & Stylus RMX formats. Big Bad Bass Guitar is organized into 30 song suites covering a tempo rang of 80-152 BPM. Each suite contains clearly labeled song parts, riffs, slides, and sustained notes for endings and breaks. 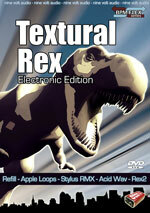 Any of the REX based loops can be used at a wide range of tempos with no artificial stretching or audio artifacts. Big Bad Bass Guitar presents a “toolbox” section of straight-ahead 8th and 16th note patterns designed to supplement any suite or stand on their own as the backbone of a track. Using Big Bad Bass Guitar within Stylus RMX requires the user to drag-and-drop only one folder into RMX’s included S.A.G.E. Converter. No additional organization is needed. Both Big Bad Vol 2 titles are centered around ten suites, each with 55+ parts comprised of riffs, rhythms, lines, progressions, transitions, endings, slides and chords. All bass parts lock with their guitar counter-parts and vice-versa. And of course, all electric guitar parts have been performed twice, on different guitars, creating the wide and rugged sound associated with the genre. Angular, melodic, aggressive, and designed to create song structure, Big Bad Guitars Vol 2 and Big Bad Bass Guitar Vol 2 are ready to meet any composer or writer’s hard rock needs. 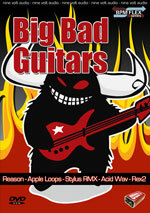 Big Bad Guitars Vol 2 features 2300+ files in the Stylus RMX & REX formats. Suites present every part performed on two different guitars: a Gibson Les Paul Baritone and a PRS Signature Paul Allender model, both in “Dropped C#” tunings. Loops are available in separate mono files as well as a set of stereo files with each part panned hard left and hard right. 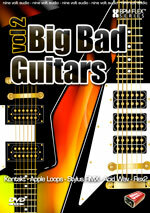 Big Bad Guitars Vol 2 presents a selection of 525 “Toolbox” parts comprised of chromatic 8th note loops, 8th note power chord loops, 16th note loops, palm muted single notes, palm muted chords, sustained notes and sustained power chords. These are designed to supplement any suite or stand on their own as the backbone to any track. 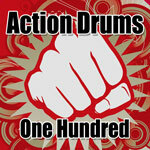 Action Drums One Hundred is comprised of 100 new loops that come from the same great stock as Action Drums: Boom Jinx Breakbeat Edition. Designed to convey movement, power and excitement, Action Drums One Hundred is part of Nine Volt Audio’s BPM Flex Series which means any loop can be used at virtually any tempo without artificial stretching or unwanted audio artifacts. 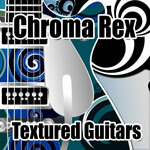 Chroma Rex: Textured Guitar Edition is a collection of 456 loops designed to allow musicians to trigger a variety of chromatic riffs from their favorite sampler or loop player to create tonal passages and tempo-synced chord progressions – all while staying locked to the groove of their track. 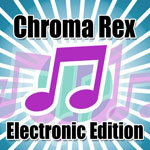 Using 33 different sounds from Melodic Rex, Chroma Rex: Electronic Edition provides 33 sets of loops based around octave and octave+fifth patterns, making every loop “chordally-ambiguous” and flexible enough to create leads or tonal backdrops. The 396 loops is an indispensable addition to Melodic Rex, making it even more flexible than it already is. 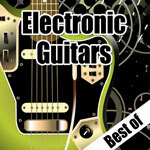 Electronic Guitars was the first release in our BPM Flex Series™. It combines electric guitar with modern effects to create distinct sounding loops that range from upfront-and-center to tripped-out and ethereal. We recently revisited the collection and re-organized and slimmed it down to an essential 208 loops covering a tempo range of 80-114 BPM.